This weekend Levi's celebrated the opening of their newest store in Avalon, a huge mixed-use live/work/play lifestyle center in Alpharetta, GA. Not only is this Levi's first standalone store in the South, but it also features a Levi's Tailor Shop inside, where shoppers can customize their favorite denim pieces with patches, chainstitching and hemming. How cool is that? The store itself is pretty cool. Smaller in size than the locations I saw in NYC, but carries a smartly curated selection of jeans, jackets, t-shirts and shorts. The design of it is super open and bright, so I particularly enjoyed that. What I loved is that the Tailor Shop is literally front and center. It's so awesome they have people in house to customize jeans, jackets and bags. 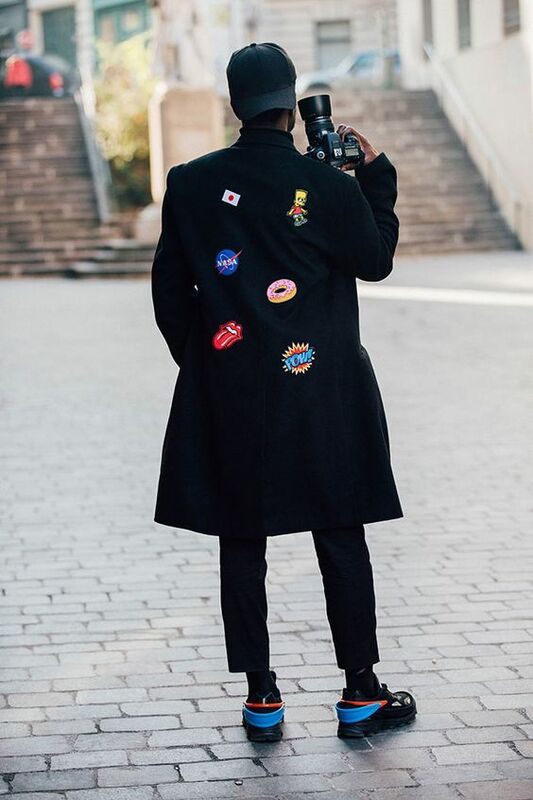 The custom patches, pins and embroidery trend is EVERYWHERE, so they smartly capitalized on this idea in a big way. Having an in-house tailor is a return to the old days of retail, when many main street stores offered this type of service. It also mirrors modern retailers today like SuitSupply and Sid Mashburn (which I've blogged about before), that instead of hiding the tailor in the back, feature them front and center. This really adds a special element to the retail experience. 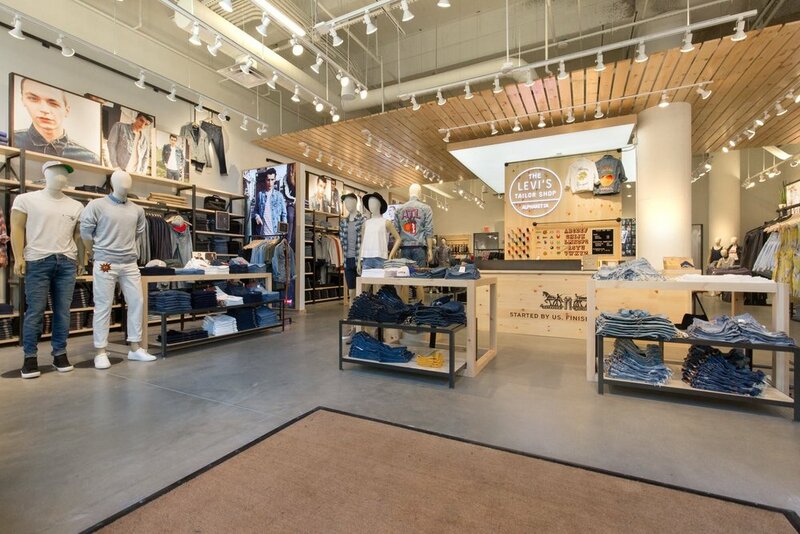 With foot traffic down across the country, and stores going out of business (American Apparel, Payless, Wet Seal, the Limited) or closing hundreds of doors (Macy's, JCPenny, Staples), it's smart for Levi's to offer this service. This is a perfect example of something that requires people to visit IN PERSON. 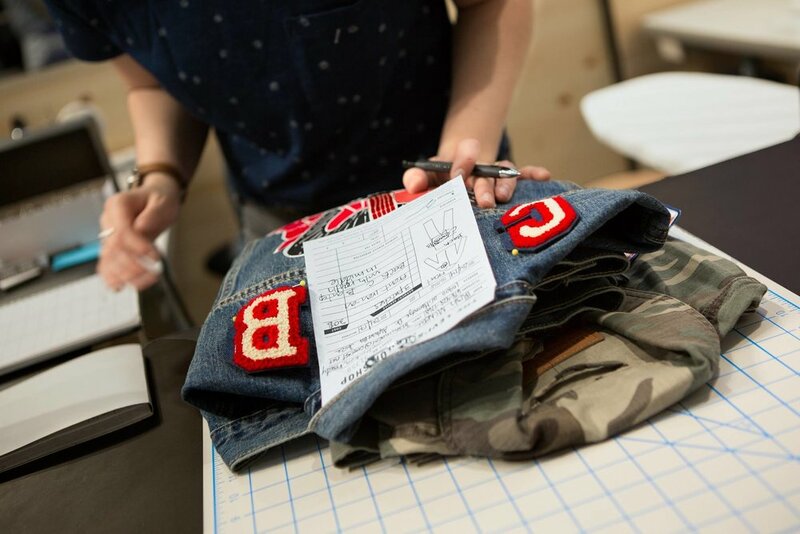 Yes you can order Levi's online, but now you can make them yours! It's also super fun to see this done in front of you and be involved in the creative process. It's an EXPERIENCE that can only happen in person, and that's what retail of the future will be about. As I said before, this custom clothing trend is huge (see above and below). 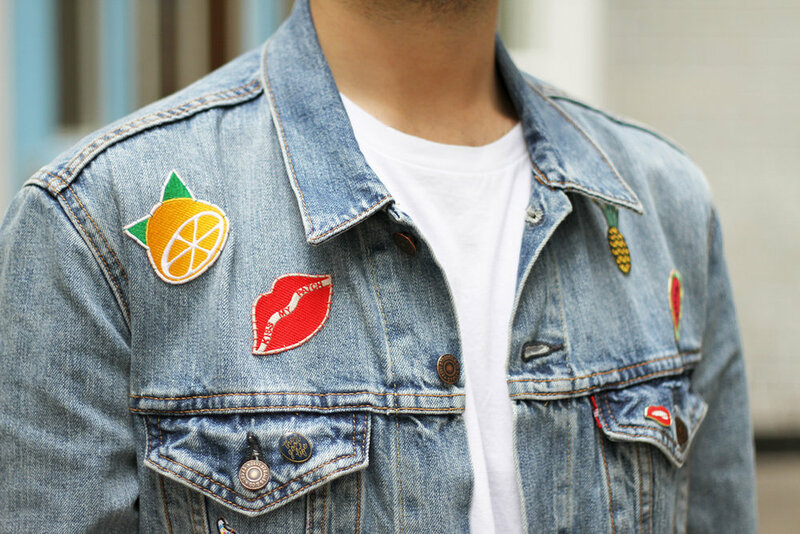 By now every retailer has jumped on the trend of selling patches, pins and the like. 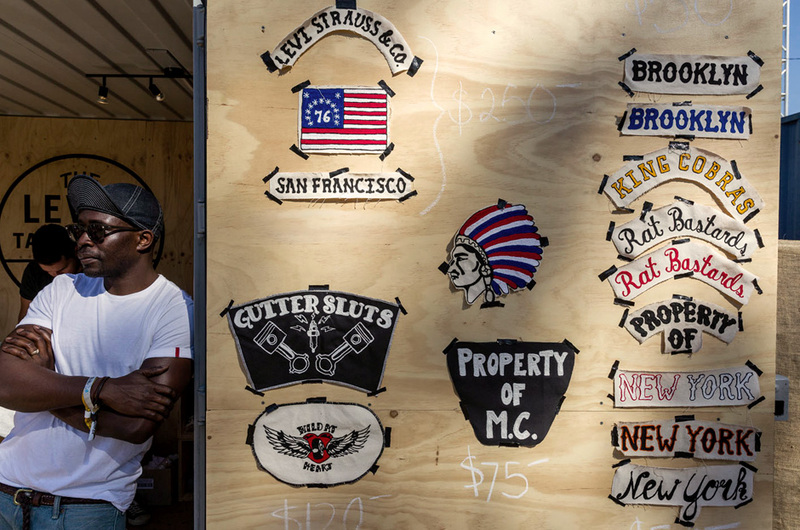 Just check out PinTrill, an whole brand dedicated to this idea, with their own storefront in Brooklyn. 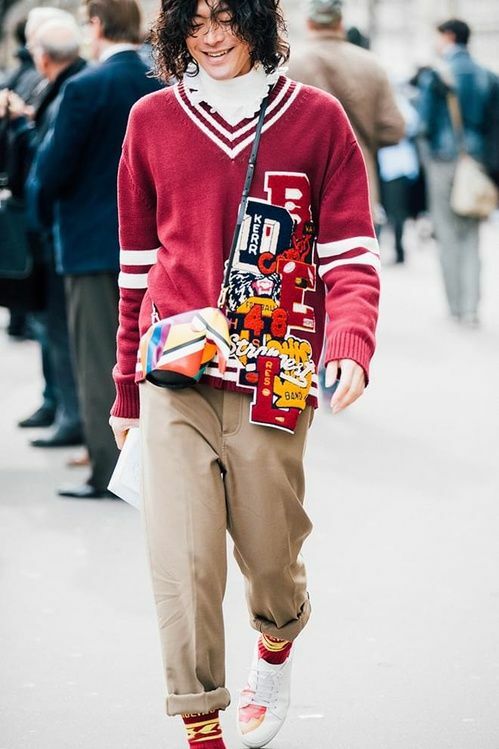 Part of the reason this trend is huge is because it taps into the millennial mindset for individuality and expression. Now there's a way to buy accessible clothes and make them your own, make a statement and say something unique. 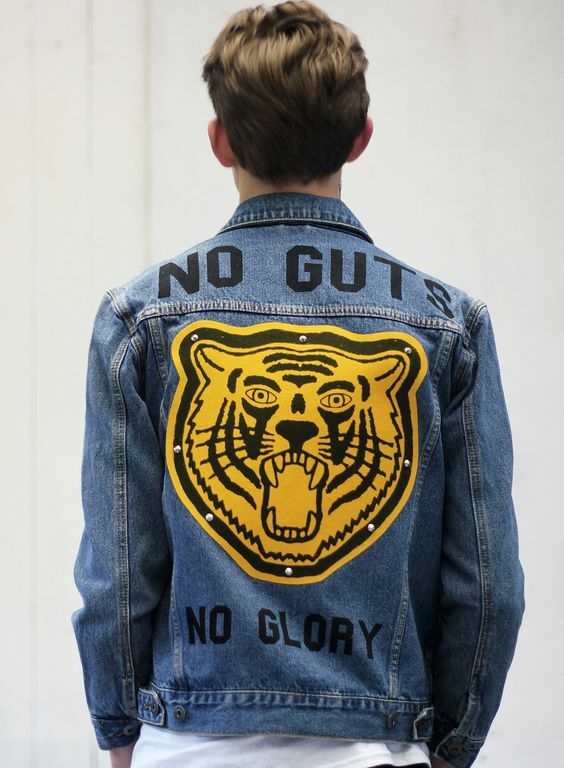 It takes a jean jacket to the next level. In the 90s and 00's, teens expressed their choices, spending power, and dare I say values, through brand name alone. We're beyond that, and the individual holds the power. Not the brand. So it's smart for brands like Levi's to capitalize on this trend and feature it front and center in their retail stores. Levi's offers this service in several major cities (London, Paris, Melbourne, etc) so for Alpharetta to be on this list is pretty huge! 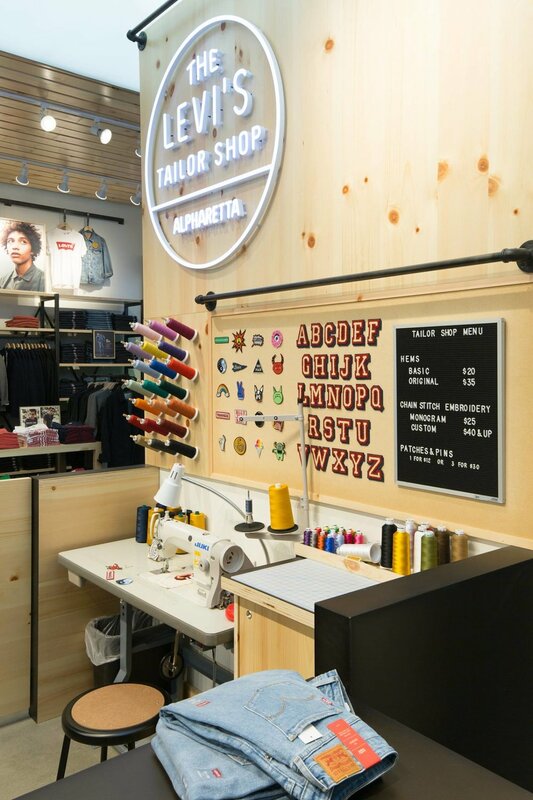 So kudos to Levi's for rolling out the Levi's Tailor Shop in their newest store. I literally walked in just to see the Tailor Shop and stayed for about 30 minutes after looking at everything else. 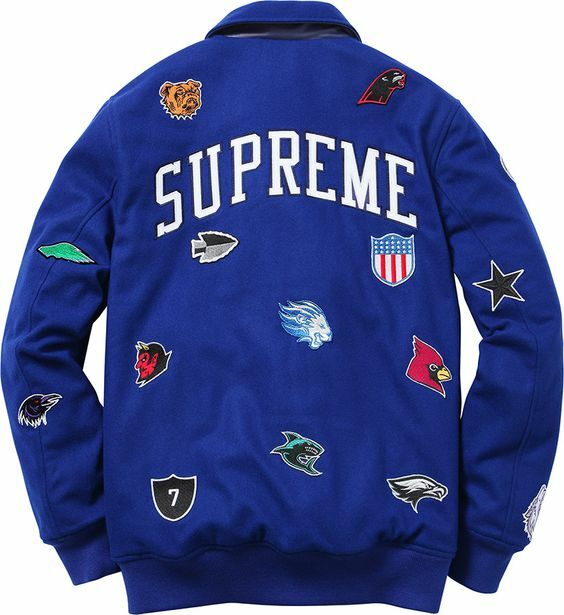 I really hope they start selling those Atlanta jackets because the one with the giant peach on the back is EVERYTHING. I need it! Great job Levi's - other retailers take note!